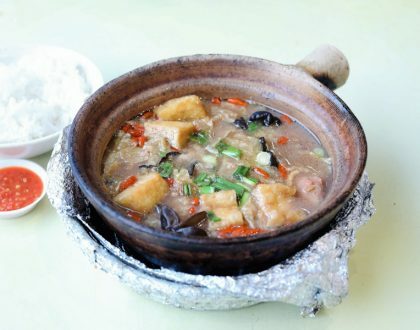 That quiver as I took in spoonful after spoonful of that Soon Hock Fish soup, feeling joyful as those flavours exploded in the mouth, yet afraid that it would be finished far too soon. Both meals I had at Chef Kang’s were some of the best this year. Many dishes reminded me of the good, old simplicity of Chinese dishes; yet there were others which were creative takes on familiar dishes. The Chef’s wife recommended, “You should try this. 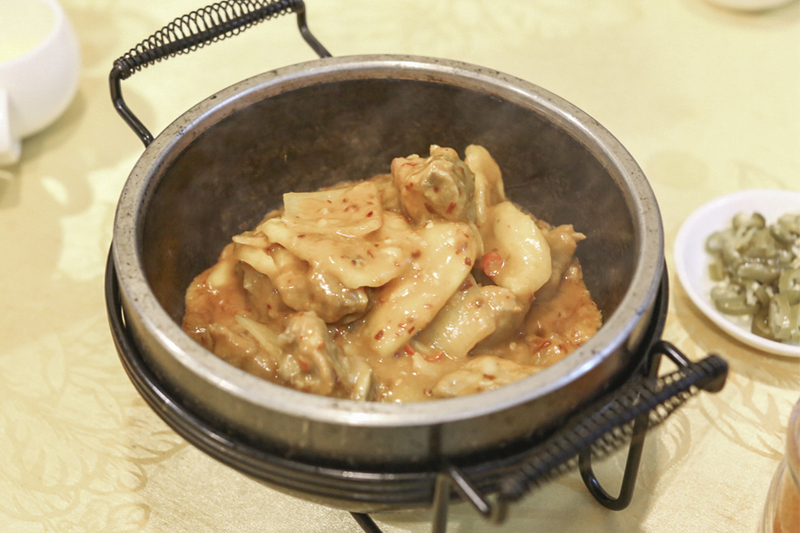 Hen hao chi de.” The table was presented with a sizzling pot of Claypot Curry Pork Ribs added with… Jackfruit, a dish I would describe as scrumptious and funky. Maybe I won’t order this again, but I couldn’t fault it. 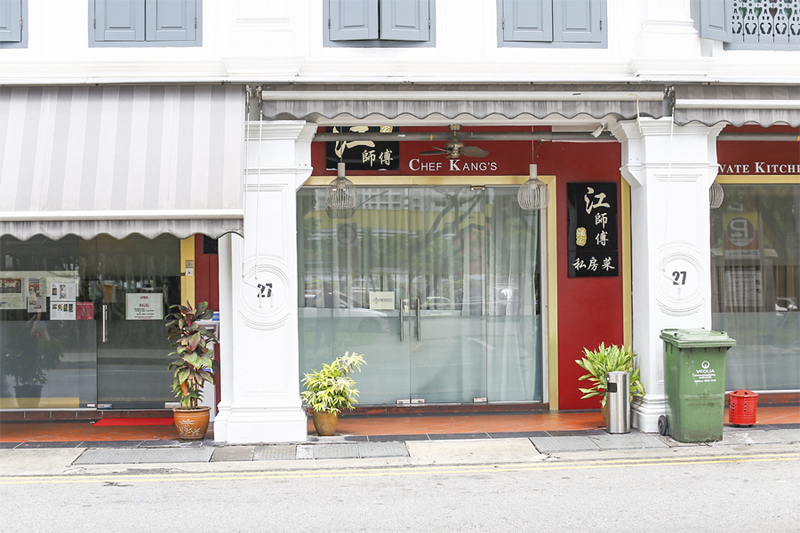 Chef Ang Song Kang, better known as Chef Kang, shot into further fame and limelight when he was awarded one star in the Singapore Michelin Guide 2017. 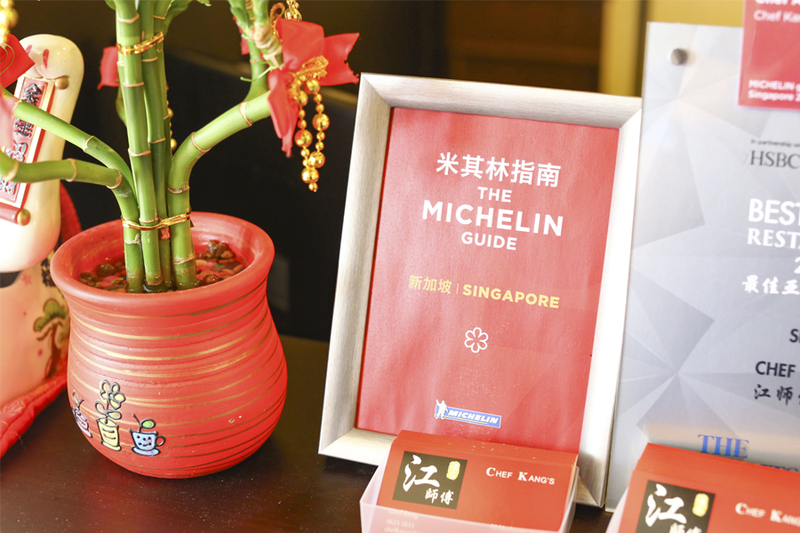 While he was already known in the Singapore culinary circle, few would expect the Michelin inspectors to pay attention to this humble looking restaurant located near Little India. Not fine dining, but it makes dining very fine. 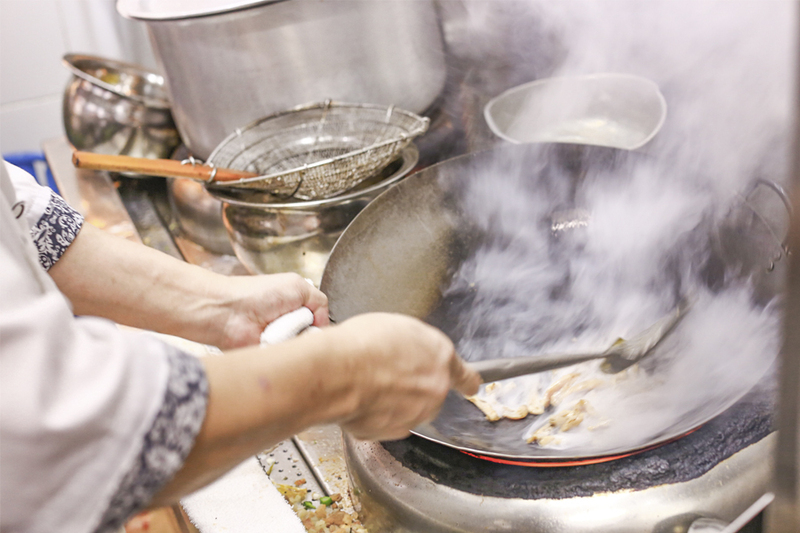 It is almost a one-man show in the kitchen, with Chef Ang cooking up every dish that is served, with his apprentice behind busy with ingredient preparation such as chopping of the vegetables. His passion to cooking, and determination to carry on after failures is admirable. 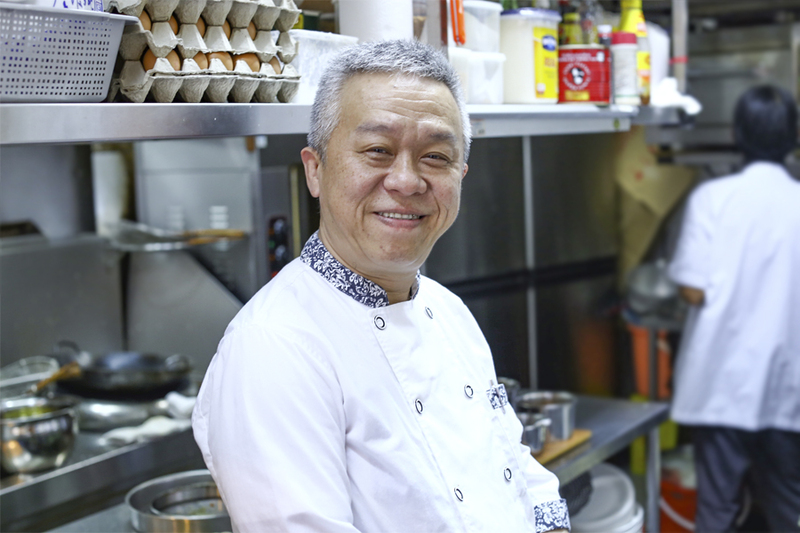 He used to be behind the kitchen of Lei Garden; and previously helmed the Canton Wok, Canton Recipe House which did not work out in the end. Closures, bankruptcy and a battle with cancer did not keep him away from his wok, and his persistence led him to open Chef Kang’s in 2015. 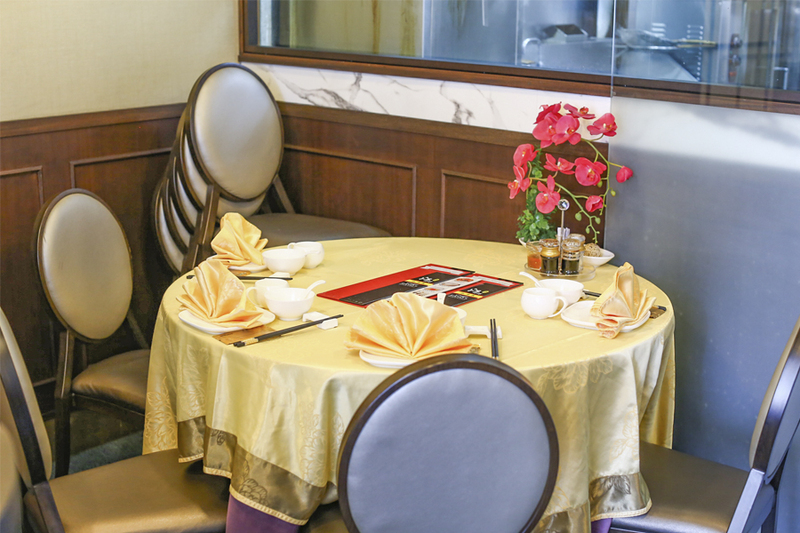 To be honest, the décor of the small restaurant at Mackenzie Road opposite Rex Cinema, is nothing to shout about – old school Chinese restaurant style. A intimate place with just 5 tables (increased from 4 previously), of which 3 are located in private dining rooms, while one is just next to the kitchen. The wall of one of the room was decorated with photos and awards, while I didn’t mind the table with less privacy, but in view of the action. 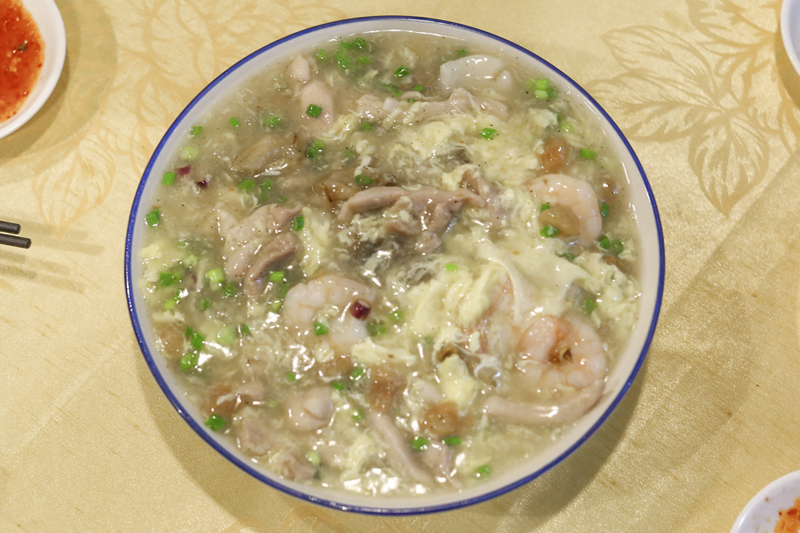 Chef serves up his style of Cantonese cuisine, with the freshest ingredients gotten from the markets. 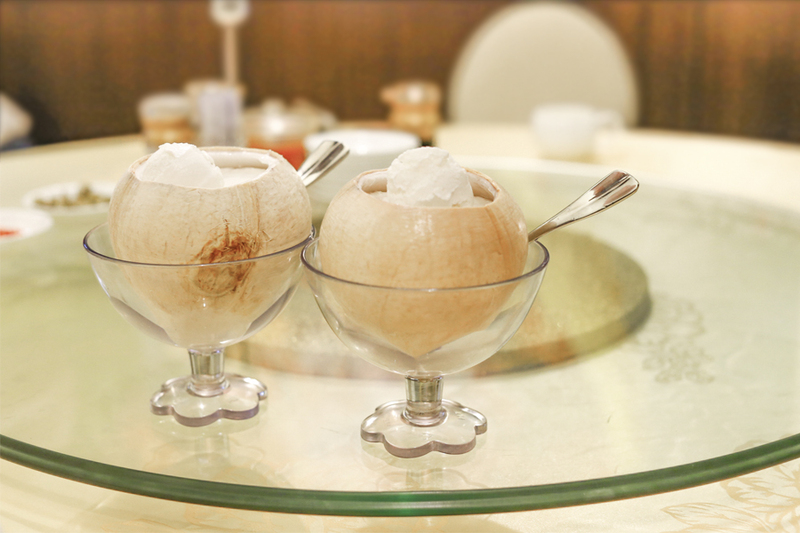 He travels from time to time, especially to Hong Kong and Guangzhou to get inspirations and purchase special ingredients. If you are regular enough, he could whip up some off-the-menu items, keeping you in anticipation of what could be in store. 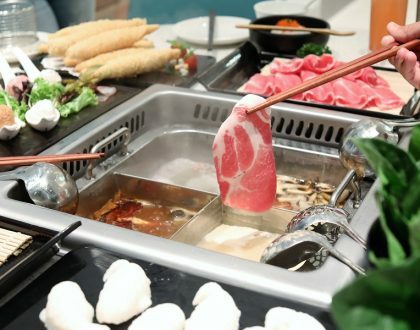 Some of the signatures include the Cordyceps Flower Stewed Duck Soup ($98), Chicken with Fragrant Spring Onion ($80), Signature Shrimp Paste Deep-Fried Pork Belly ($28, $48, $68), Fragrant Sauce Steamed Empura ($80 per portion), Steamed Wild Potin Fish with Picked Tree Seed ($43), and Braised Luffa with Egg White ($28). This is definitely NOT the ordinary zhi-char price. 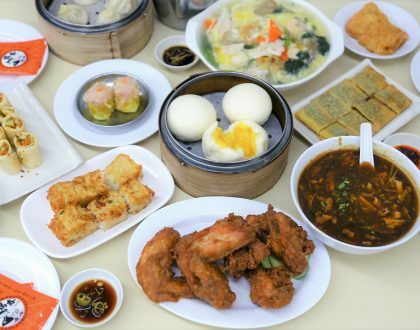 Fortunately, I went with friends who believed in ”Yi fen qian, yi fen huo”, meaning you pay what you get. We drew extra cash from the ATM before the meal (Don’t worry, they accept card payments). 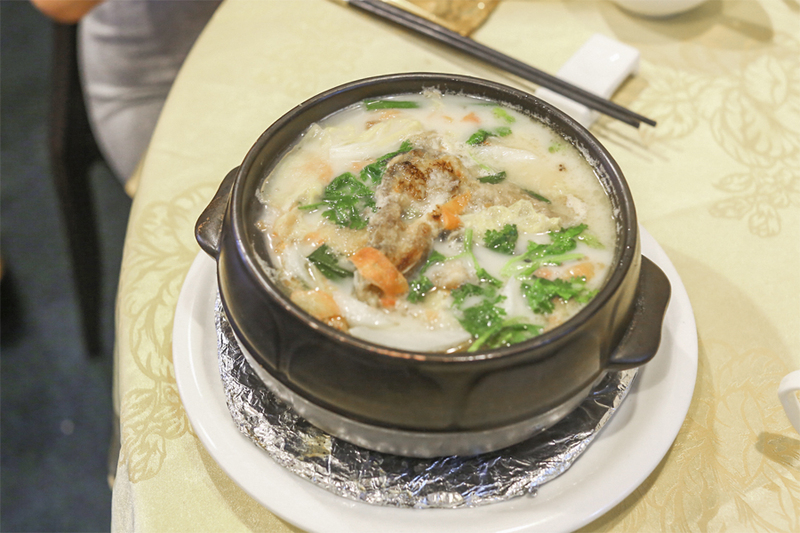 I was initially skeptical and worried that it would be another over-hyped restaurant, till I took a spoonful of that Soon Hock Fish Soup ($98), good for 3 – 4 to share. 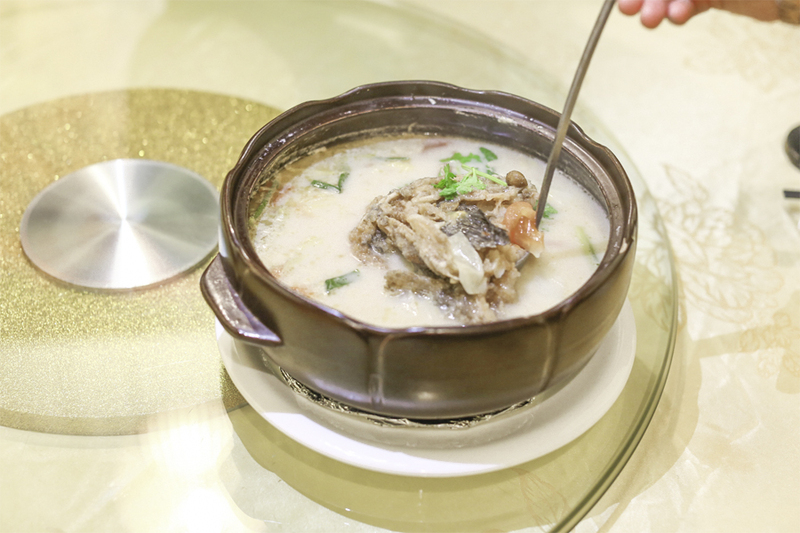 The best essence of the fish and chicken bones probably went right into the creamy stock; the soup appearing beige-white because it has been cooked for almost the white day. So fresh, so much depth, so layered, that you feel a sense of homely bliss. 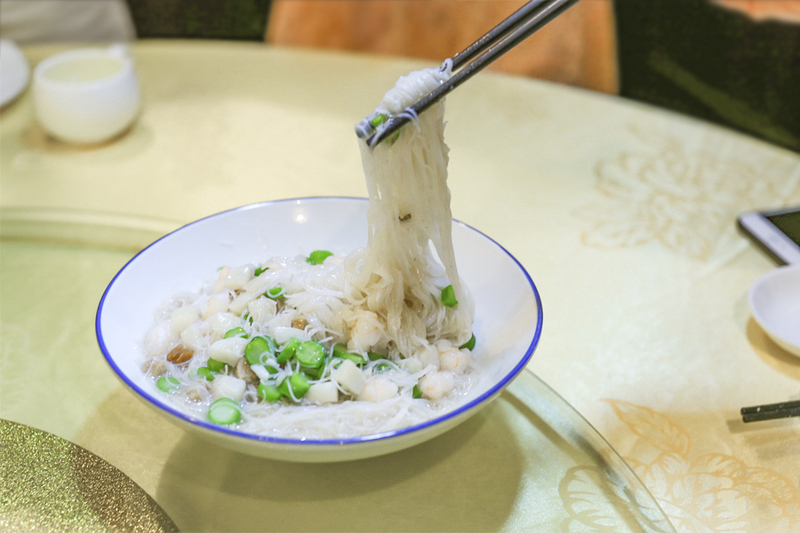 Another dish that left me with a tear-drop lingered in the eye (out of happiness) was the Simmered Rice Noodles In Superior Stock ($25). I love my bee hoons. The true test of a chef can be in the simplest dishes. 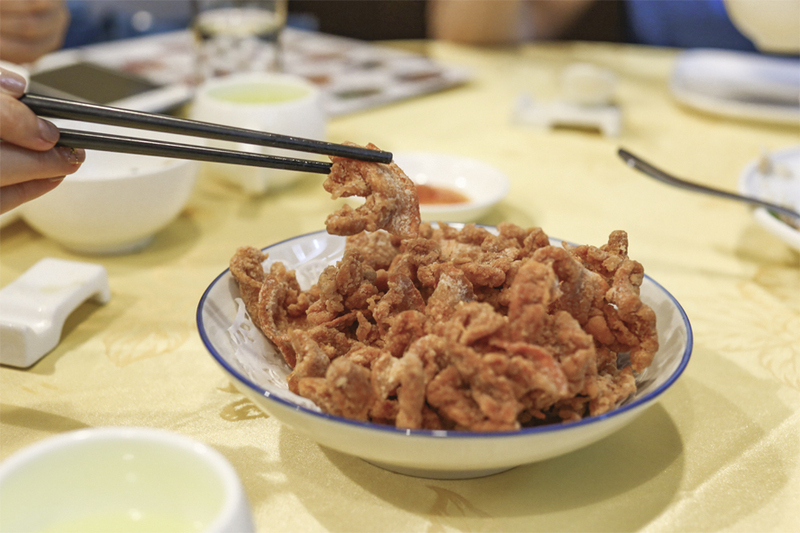 The Prawn Paste Chicken ($24), also an pricy zhi-char dish with just 6 pieces of mid-joint, was commented by chicken-wing-lover-PinkyPiggu as one of the best she had in Singapore. She refused to commit to say if it was the top, but did say ”It is somewhere there” as she wished there was more har cheong aroma. 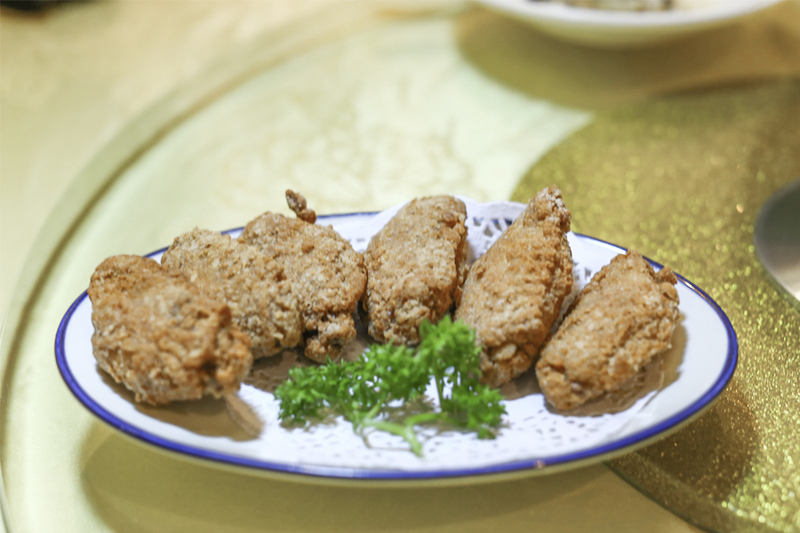 Chef explained that instead of simply coating the wings with flour, he used a more tedious process of ‘slapping’ the flour mixture until the chicken. This is so that there would be no thick layer of batter surrounding the chicken, and the outer layer would start both crispy and fluffy. Part of why the dining experience was memorable, was that Chef was very personable in coming to the table and explained the rationale or story behind some of the dishes. He is also quite a humorous man. That passion he displayed was genuine and sincere, so much so that PinkyPiggu wanted to call him an affectionate ”Ye Ye” (Grandfather). Pinky, he is actually not that old. To be objective, not ALL the dishes were impressive, but mostly above the average. No doubt prices are expensive, and I believe is higher than some diners would expect for the quality provided. Take note though, reservations are super packed, and I already made my next booking, close to 2 months later. I couldn’t remember the last meal that made my heart skip a beat. This was one of them.